here are a few photos from Alex's camera. This was last weeks fishing. 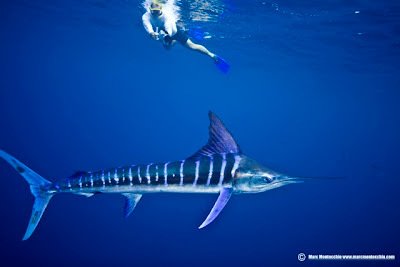 My Buddy Mark Montochillo took some amazing Underwater photos and video of Blue Marlin in St. Thomas.. He got into a scary situation with some Silky Sharks ready to feed on him.. His story made it onto ESPN and here is a video of his experience..
His photos will be featured in the Jan. edition of Marlin Magazine. 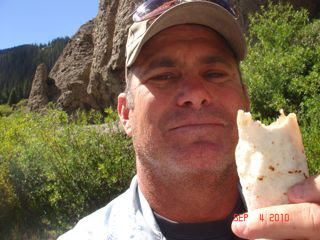 Mark is one cool guy, and has Muy Grande Huevos. 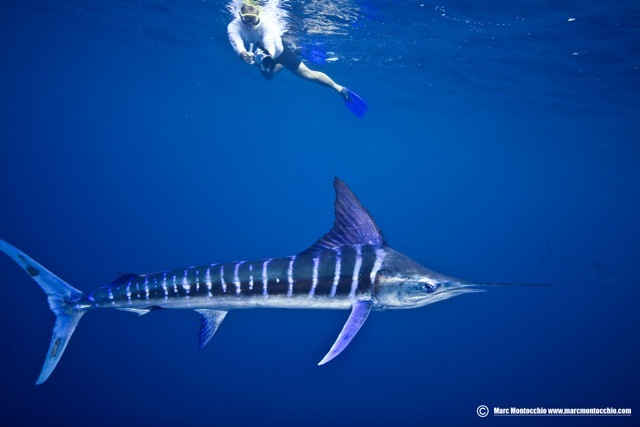 He is one of the bravest souls I have ever met...He is one of the underwater photographers I took out a few years ago that got me hooked on filming marlin, whales and sharks in their environment.. 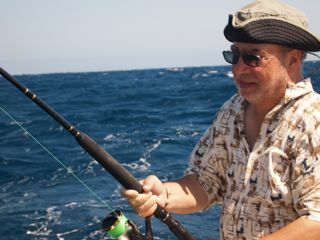 He took this amazing picture of me filming a marlin off the Golden Gate banks back in Nov. 2008. The end of Bisbee's is just minutes away. 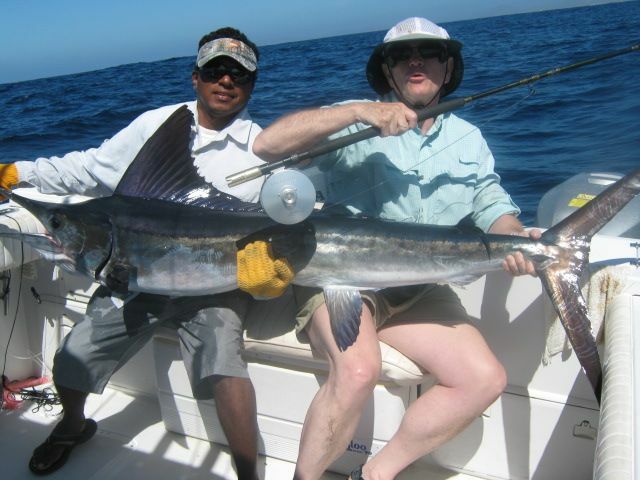 No big blues for us, only small blues and striped marlin. We just released a striper, so we didn't go home skunked. Maybe next year will be my year. Lots of close calls, but no cigar. Time to get off this barge and go have some fun chasing fun fish off a fun boat. 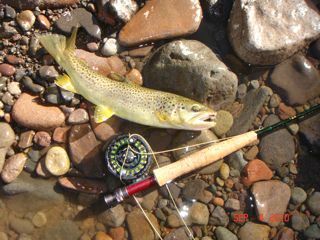 Fishing was slower yesterday. 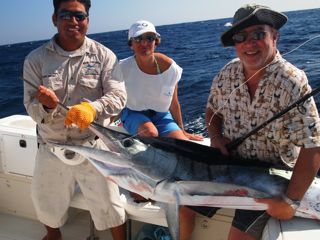 We ended up catching 2 striped marlin, and only 2 blues were weighed in. 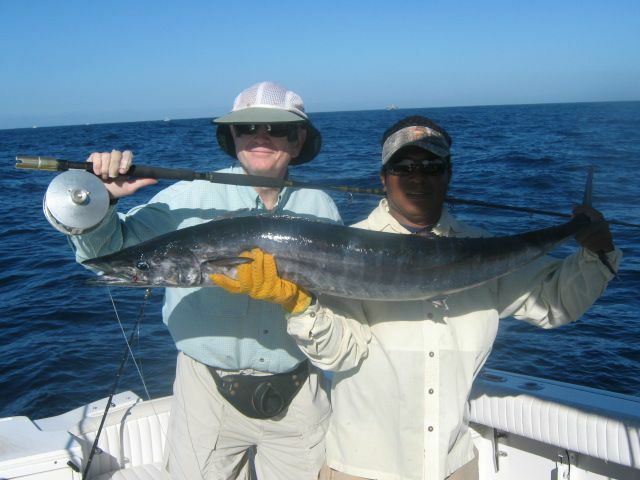 The largest was with the boat that brought in the 800 disqualified fish on Wed. He caught a 400 plus pound blue on the same lure he used to catch the 800 lb.fish. So he caught the big fish and got the daily $. I have been doing tournaments so long I really don't keep up with the details, unless of course I win the $. 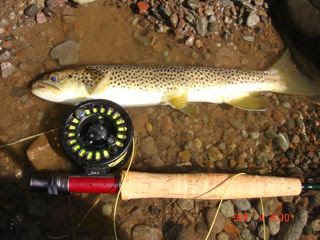 The picture below is the 130 tackle we are using. Yesterday was the most exciting day in tournament fishing that I remember. We had 2 breakdowns, and still managed to land one striper and raise 2 blues. I kind of figured we used all of our bad luck up the first day. Seven fished weighed yesterday The largest was 599 lbs. 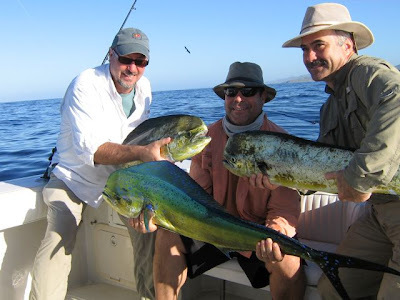 You could hear groans and curses from the captains that weighed in fish. They had big fish and thought they had a for sure daily( which means big $). One guy had a 800 lb fish that took 6 hours to land. He came in 10 minutes late into the dock and was disqualified. I gotta go make bait. George and Marla are super folks, and I had a blast with them yesterday.. It was way too much fun. 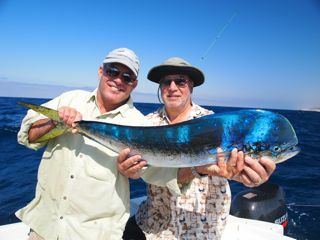 we caught about 10 dorado on very light spinning and one striped marlin on stand up spinning.... Way to go guys! George emailed me with this.. 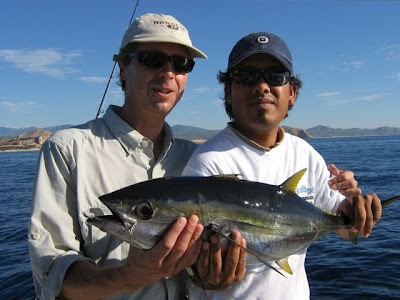 Most fo you know that summer time in Cabo is usually very good fishing, but it lacks the tourists, most folks stay home to fish their local waters or maybe go to Alaska... Thats why when August and September comes around, I take advantage of our slow season and usually try to travel with my family to states for a month or so. So I packed up the family, hooked up the tent trailer and took off up north. It was my same ole Baja, scenic drive with wonderful people. I always love cactus forests and some very strange and usual flora. After two and a half days uneventful drive we pulled up at the US border wondering what all the hype was about... All's we met along the way, were the same old friendly people we always encounter in the Baja... Checkpoints are a bit intimidating to some, but are always a welcome sight for me, as I dont mind them a bit.. The soldiers are professional and just looking for bad guys, I wish they did it in the states.. Mostly the solders looked bored, but were friendly and talkative.. The next day, we stopped in Needles, California at a fast food place for lunch. While we ate, three different groups came in to the restaurant and all three were stoned on something... One group was loaded with Tattoo's and piercing.. The others just messed up on some heavy crap... The guy behind the counter was going to call the cops on one of guys because he could barley speak and a bit aggressive... These were all Caucasian youths.. For the first time in our trip, I was worried a little for my families safety...are these guys going to pull a gun or something? In over 30 years, living and visiting Baja, I have never felt a uneasy one bit or felt danger in any way... The way I see it, the problem isn't really isn't Mexico, the bad guys here are just in the transport and distribution...Sure there is a turf war going on with the gangs, and too many people had died on the border states, but the real problem is the consumers in the United States...Without the U.S. need for drugs, we wouldn't be having these problems in mainland Mexico. Anyway, after visiting family in Flagstaff, we drove up to Colorado and ended up camping high up in the Rockies... We love the mountains, and what a great time we had. 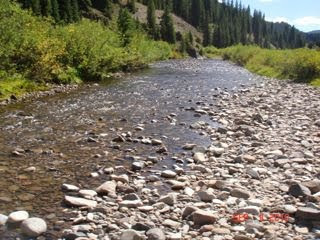 My girls fishing the same rivers I fished with my father 40 years ago, now thats priceless... 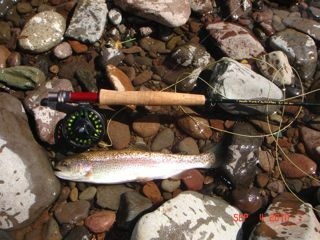 The browns and rainbows rising to the dry fly.. Roasting hotdogs and Marshmallows in the campfires... 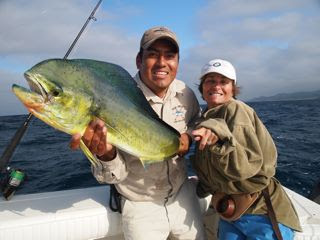 It just doesn't get better than that..
Now the Cabo fishing report... from this week on, I will be back on track and writing fishing reports and daily blogging with pictures. The marlin fishing is pretty good right now... Mostly we are seeing striped marlin, but there are still some nice catches of blue and black marlin to be had... Its kind of nice knowing that when that marlin does come into your spread, that it might be a 120lb striped marlin or maybe a 500 lb Black or Blue.. The YF Tuna fishing is okay right now. Some day are good, some days are okay... Lots of variety on size from 20# footballs to pigs over 100#. Inshore: We are catching fun sized 10- 15 lb. 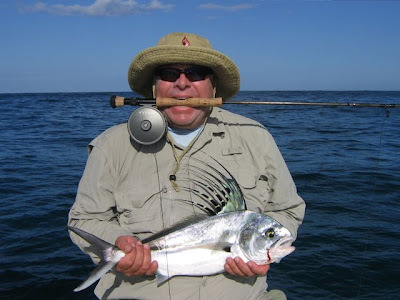 roosterfish on the fly and light spin.. these fish are migratory and its nice to see them show up early in Cabo... Expect to see some good inshore action starting November and really picking up speed by December.. 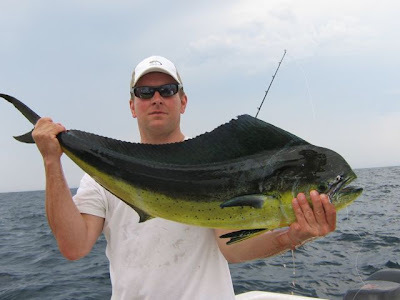 The inshore fishing lasts all winter and spring, but dies off by mid summer... Mid April through late June is prime time roosterfish season.. 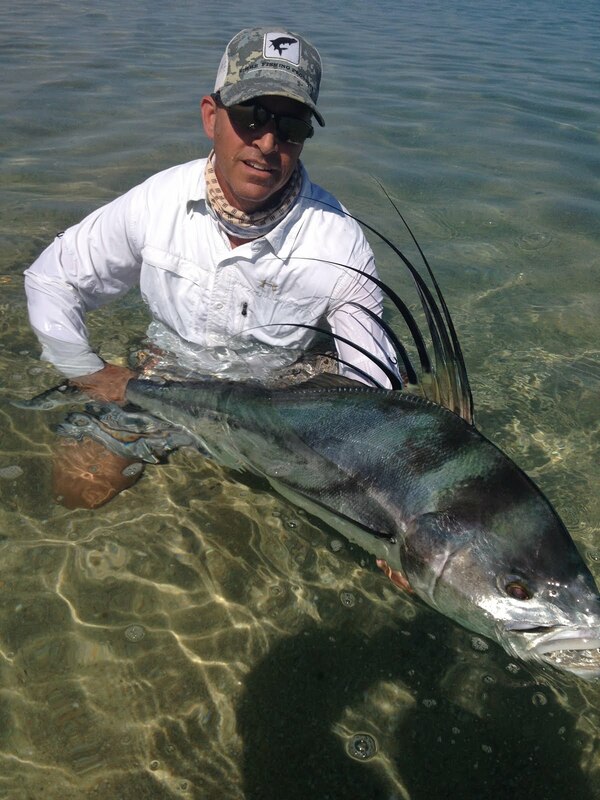 If you want to go on one of my beach fishing expeditions for giant roosterfish with me this May or June, I still have some weeks open... 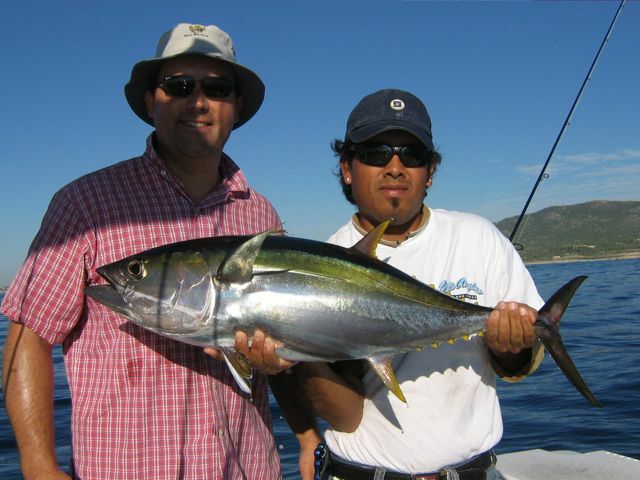 The best bet is for you to email me at info@baja-anglers.com for information.. Sorry, no fishing guides or writers..